The US government continues to put Cuba on its international terrorism list because of flawed rationale and historical prejudice, writes Keith Bolender in the Guardian. While an attentive US audience watched President Obama outline his plan to wind down America's long war on terror last week, officials in Havana were shaking their heads in bewilderment and anger over how the issue of terrorism continues to be cynically manipulated against the island nation. What raised their ire was the recent announcement that Cuba would remain on the State Department's controversial list of states that sponsor terrorism. The long-awaited annual report on international terrorism from the State Department was released Thursday, and confirmed what officials had already indicated – that Cuba is staying on the list along with Iran, Sudan and Syria. State Department spokesman Patrick Ventrell confirmed the administration "has no current plans to remove Cuba". The decision came as a disappointment for those who were expecting new Secretary of State John Kerry, a long-time critic of America's counter-productive policy against the Castro government, might recommend Cuba's removal. The fact he hasn't demonstrates how difficult it is to change the dynamics of the antagonistic relationship between these two ideological adversaries. Cuba was originally included on the list in 1982, replacing a then-friendly Iraq. The designation levies comprehensive economic punishments against Havana as part of the overall strategy of regime change that includes a decades-long economic embargo, unrelenting propaganda, extra-territorial application of American laws. For its part, Cuba calls its continued inclusion on the list "shameful" and pandering to a small community of former Cuban citizens who now live in Florida. Cuba also asserts that the US has actually undertaken actions on the island that have resulted in the deaths of innocent civilians. It is ridiculous that the United States continues to include Cuba on an arbitrary list of states that sponsor terrorism, while it is Cuba that has suffered so much from terrorism – originating from the United States. 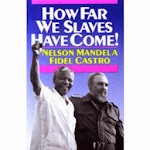 The so-called terrorism against Cuba began shortly after the triumph of the Revolution in 1959. In the early 1960s a covert CIA program known as Operation Mongoose led to the killing of teachers, farmers, government officials and the destruction of agricultural and non-military industrial targets. Other incidents involved attacks on villages, biological terrorism including the introduction of Dengue 2 that resulted in the deaths of more than 100 children in 1981, and a 1997 bombing campaign against tourist facilities in Havana and Varadero that killed Canadian-Italian tourist Fabio Di Celmo and injured dozens. The most infamous act of terrorism occurred with the bombing of Cubana Airlines in 1976, killing all 72 on board. One of the two recognized masterminds, former CIA agent Luis Posada Carriles, has a long history of suspected terrorist activities against his former homeland; at one point bragging to the New York Times of his involvement in the hotel bombings. Posada continues to live a quiet life in Miami, considered a hero among many of the first generation exiles whose anti-revolutionary fervor has yet to diminish. The other architect of the Cubana Airlines bombing, Orlando Bosch, died peacefully in Miami a few years ago. As a result of these terrorist activities, the Cuban government sent intelligence officers to Florida in the 1990s to infiltrate Cuban-American organizations in an effort to thwart further acts. 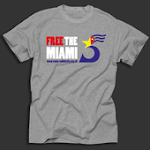 The agents, known as the Cuban Five, were uncovered by the FBI and are serving long prison terms. While Cuba's status as a state sponsor of terrorism remains unchanged, other countries that might be considered more deserving, such as North Korea and Pakistan, aren't on the list. 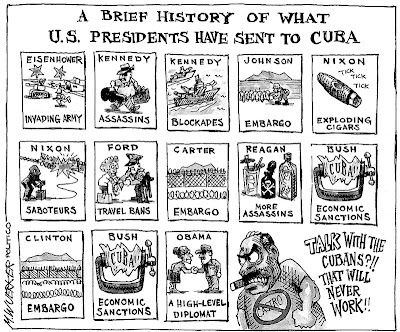 What makes it all the more galling for the Castro government are the arguments the United States has advanced to justify Cuba's inclusion – the most egregious stemming from the charge Cuba was not sufficiently supportive of the US war on terror or the invasion of Iraq, and was unwilling to help track or seize assets allegedly held by terrorists. A 2004 State Department report asserted that "Cuba continued to actively oppose the US-led coalition prosecuting the global war on terrorism." In reality, the Cuban side has consistently denounced all forms of terrorism, including the recent Boston Marathon bombings that brought quick condolences from the island leadership. 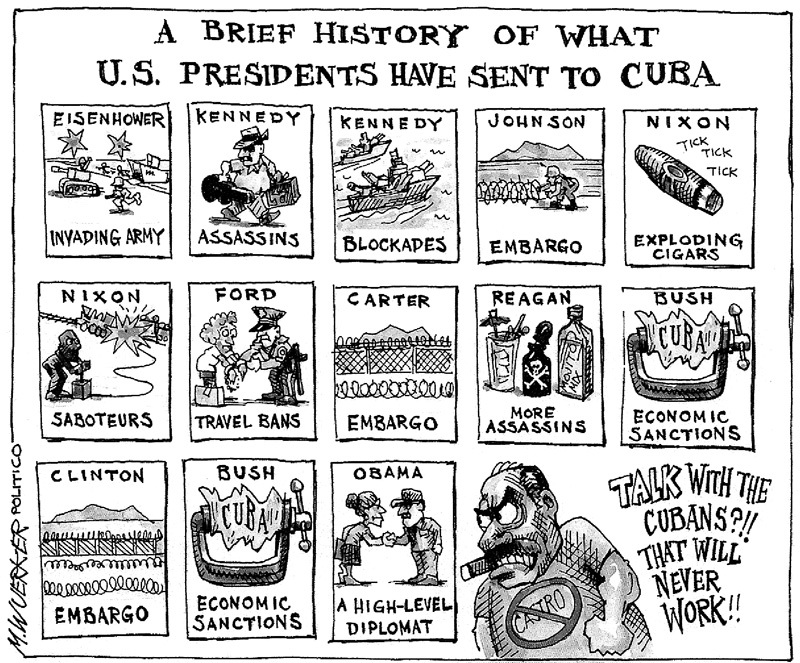 Other rationales over the past 30 years to keep Cuba on the list have ranged from its support for left-wing rebels in Latin America, its relationship with the former Soviet Union, treatment of political prisoners and allowing members from alleged terrorist organizations such as Columbia's FARC and Spain's separatist Basque movement ETA to reside on the island. Even when those issues were resolved, including the dissolution of the Soviet Union more than 20 years ago, Cuba found its unmerited designation had not changed. One long standing reason, that Havana permits refugees from American justice to find safe haven on the island, was re-invigorated with a ruling that was timed almost perfectly with the announcement that Cuba would not be taken off the terrorist list. Assata Shakur, accused of killing a New Jersey state trooper 40 years ago, was suddenly labeled as a most wanted terrorist by the FBI, with a $2m price tag on her head. Shakur, who fled to Cuba in 1979 and was given political asylum, has consistently maintained her innocence. Categorizing Shakur as a terrorist could potentially endanger her life from those wanting to collect the bounty, and has led State Department officials to utilize her changed status as justification to keep Cuba on the list. There is no legitimate reason to use the arbitrary terrorism list as a political weapon against Cuba. To continue to do so simply exposes the State Department to charges of hypocrisy and manipulation of a serious threat based solely on ideological differences. Most importantly, it gives insult to all those who have been actual victims of terrorism.